New Year’s Eve. The night when we say goodbye to the old, and welcome in the new. Yet so often a disappointment. In days gone by, before children and grandchildren, you may have been the life and soul of the party. Dancing the night away to loud music, on crowded floors. Bumping and barging were all part and parcel of the fun. The odd spilt beer and best suit ruined by red wine were no more than war wounds of a great night, half of which needed to be pieced together over the next six months. What you really crave is a more civilised passage from one year to the next. You want to enjoy good food accompanied by a good bottle of wine. Perhaps a glass or two of bubbly. And definitely in the company of family and good friends. The trouble is, everywhere offers a New Year’s Eve ‘Gala’ dinner. A set menu at pocket-emptying prices. Then the music starts at 10pm. By 11pm, the noise is deafening. You know it will ring in your ears for the next three weeks, as a constant reminder of a night that promised so much, but delivered so little. That’s why, for New Year’s Eve 2017, we’re doing things a little differently here at Christopher’s. This New Year’s Eve, we’re opening our doors for those whose greatest desire is to enjoy the company of their friends and family, without straining to hear every word that is spoken. You won’t have to spend a small fortune for a menu that lacks punch. You won’t be surrounded by a crowd that would be crushed shoulder-to-shoulder in a football stadium. Book now for a relaxed New Year’s Eve at Christopher’s, and eat à la carte from our varied menu. Enjoy the same award-winning front of house service that our guests enjoy every time they dine with us. Hear each other speak, and laugh once more at the ‘best’ of the Christmas cracker jokes you opened a few days earlier. Have a glass or two of bubbly as you remember the year coming to an end, and look forward to the year ahead. All this at our usual prices. We invite you to spend New Year’s Eve with us. With fantastic food, wonderful wine, and scintillating service, we’ll help you and your guests make this New Year’s Eve different – and a wonderful end to 2017. 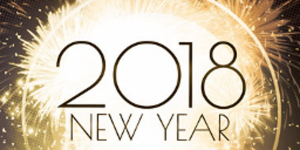 Enjoy the New Year’s Eve you wish you had enjoyed last year, and every New Year’s Eve for as far back as you can remember – and still have money in your pocket to treat yourself at the January sales. Call us on (+34) 600 01 28 24 to book your table and enjoy a cracking New Year’s Eve at one of Torrevieja’s top 10 restaurants (as rated by diners on www.tripadvisor.com).